As the Fermentation Supervisor here at Genesis, Eddie is key in meticulously overseeing our high quality fermentation practices and fermentation team. Eddie’s skills and experience – informed by his lengthy career in fermentation, microbial process engineering and biosciences – are essential to the continued success of the Fermentation department, and in his role as Fermentation Supervisor at Genesis Biosciences. Eddie’s devoted focus to vital CIP, SIP and downstream processing procedures ensures superior quality, purity and expected spore counts from each fermentation cycle. Some people probably wouldn’t know what your role involves – how would you explain it? My role at Genesis involves understanding and identifying key components of the Fermentation process and downstream processing procedures, as well as the mechanical operation, preventative maintenance and troubleshooting of the equipment used in all aspects of the Fermentation department. What was it about Genesis that made you want to work here? Working in the microbial industry for many years has given me opportunities to work with a variety of people in the industry. 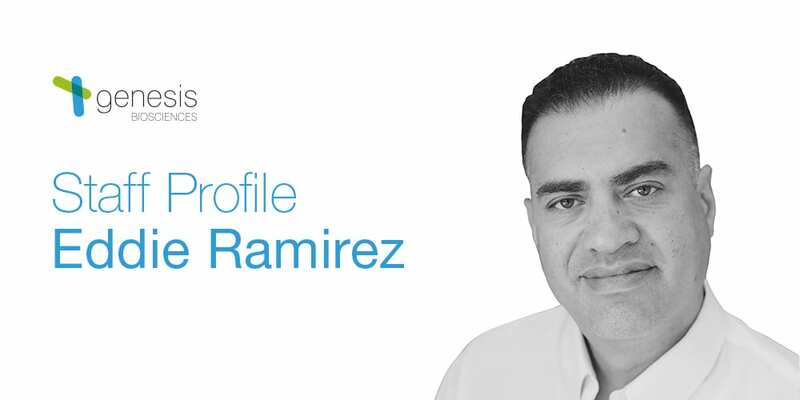 Throughout my career, Genesis has always been a key name and a topic of conversations pertaining to the industry for many years – past and present. With the many things I’ve experienced in this niche field of expertise, I thought it would be a natural progression and a great way for me to collaborate with some of the great people I’ve heard so much about over the years! What’s one thing that drives you in your role as Fermentation Supervisor? 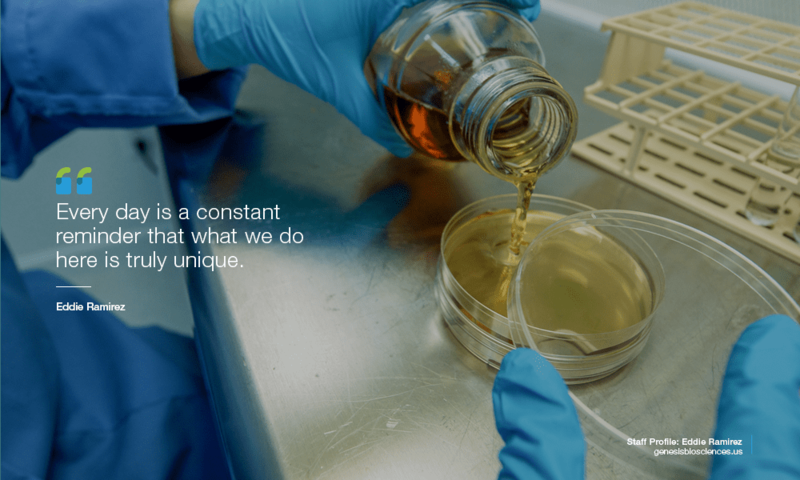 Continuously raising the bar to ensure the highest quality standards; standards that customers in the industry have come to rely on from Genesis Biosciences. What’s the best thing about working at Genesis? I have a great appreciation for the core values that Genesis has set forth for everyone within the organization. It was one of the very first attributes that I was introduced to when meeting the team and this was a great indication that I would be joining a company with true vision. What does your typical day as Fermentation Supervisor include? The great thing about my work is that there are no typical days. Every day is a constant reminder that what we do here is truly unique. The only typical part of my work day is finding solutions. What’s the most challenging part of this industry? The most challenging part of this industry is overcoming the assumption that all products in this industry are similar or equal in nature. 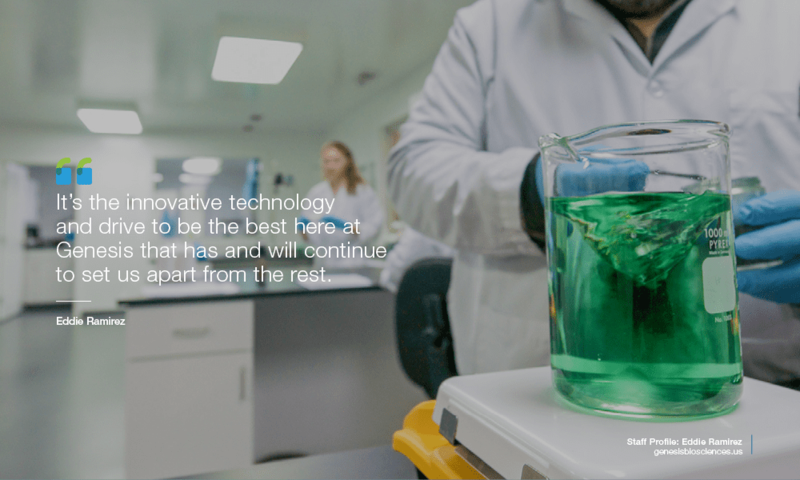 It’s the innovative technology and drive to be the best here at Genesis that has and will continue to set us apart from the rest. What’s your personal philosophy, if you have one? Take a little more time and do it right, or take a lot more time and do it twice! What is one thing the general public might not know about your job? That it takes an extensive amount of dedication and attention to detail to truly perfect the craft of fermentation. You must be willing to roll up your sleeves, willing to learn from your mistakes and – most of all – be willing and open to the ideas that your colleagues have to offer. You must also be prepared for useful constructive criticism. These key elements will help guide and prepare you for the challenges ahead in real world fermentation manufacturing. What would you say is your / Genesis’ greatest achievement so far? What’s next for you at Genesis? I’m looking forward to the current expansion of people and square footage we are currently undergoing. This will be an opportunity for all of us to grow the company further and to prepare for all of the new challenges and rewards that are in the very near future. I’m also very excited to watch the sales team have the ability, expertise and resources to offer our customers more efficiency and a wider variety of products with this new expansion in productivity. Not just from a custom fermentation standpoint, but also from the entire company’s capabilities as a whole. This will surely have a positive and meaningful impact for us being a supplier for the industry, as well as for the customers we serve and those we will continue to serve for many years to come. 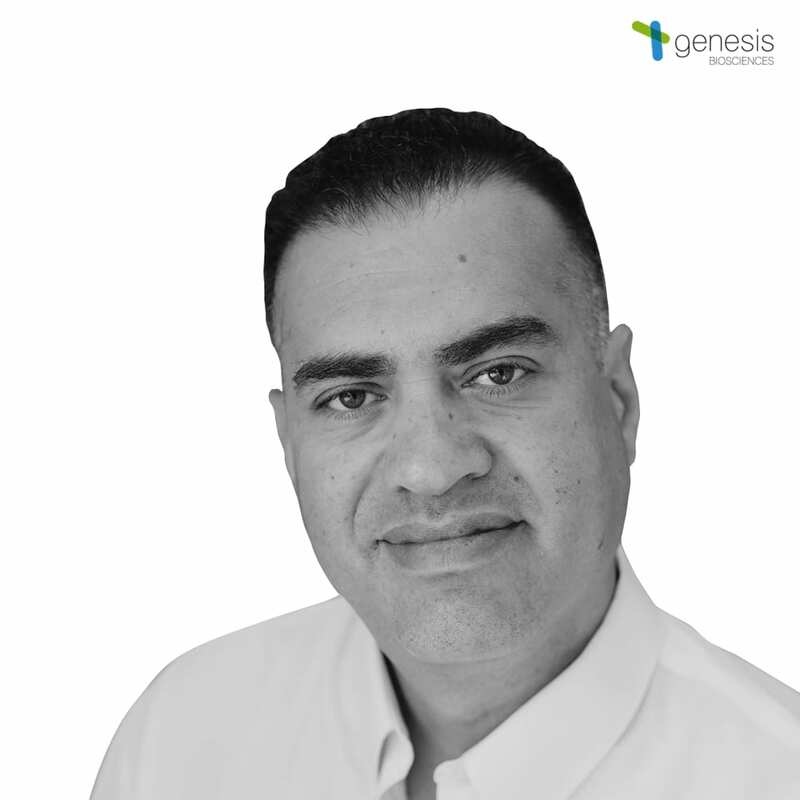 To find out more about the work of Eddie Ramirez and Genesis Biosciences, visit our About page. If you’d like news from Genesis Biosciences delivered straight to your inbox, sign up to our regular newsletter.